One of the employees at Bel Marra Health just returned from a trip to India. He could not stop talking about the great food, totally different culture, crazy traffic, incredible color, the Taj Mahal, the thrill of an auto rickshaw ride, cows on the road… But he also raved about something I don’t often hear about from first-time visitors to India: Guavas. Apparently, his trip coincided with the time when guavas are in season and he says he saw all kinds of guavas – green guavas, white guavas, pink fleshy guavas, ripe guavas, raw guavas, hybrid guavas, even designer guavas. And there were bushels of them everywhere. In fact, every time his taxi came to a stop at a traffic light, street urchins would throng around his taxi and thrust handfuls of guavas into his face with a hope to make a quick business transaction. One such urchin, seeing that his sales talk was having no effect whatsoever, mentioned that the guava is very good for health. The street urchin might have mentioned that as a last-ditch attempt to make a sale, but the truth is the guava is actually very healthy. It is a nutrition powerhouse. In fact, the people of the subcontinent have coined their own version of a famous saying: “A few guavas in the season keeps the doctor away for the whole year.” Since this delicious tropical fruit is largely unknown to many of us here in North America, let us take a closer look. The fruit is very rich source of soluble dietary fiber (5.4 g per 100 g of fruit, about 14 percent of your daily required amount). Guavas are an excellent source of antioxidant vitamin C; 100 g fresh fruit provides 228 mg of this vitamin, more than three times the daily recommended intake. Guavas are also a good source of vitamin A, and flavonoids like beta-carotene, lycopene, lutein and cryptoxanthin. These compounds are known to have antioxidant properties and are therefore essential for optimal health. 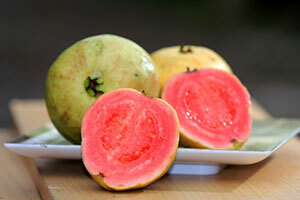 It’s a good thing when 100 g of pink guava fruit provides 5,204 µg of lycopene, nearly twice the amount than in tomatoes. Fresh guavas are also a rich source of potassium. They contain more potassium than other fruits like banana. In fact, one guava contains 688 mg of potassium, that’s more than twice the potassium content you’d find in a banana. Guavas are also a moderate source of B-complex vitamins such as pantothenic acid, niacin, vitamin B6 (pyridoxine), vitamin E and K, as well as minerals like magnesium, copper and manganese. From the nutritional facts mentioned above, it is quite evident that this amazing fruit can play an important role in many aspects of health. The antioxidants, vitamins and flavonoids can help the human body develop resistance against infectious agents. They can also help fight free radicals. Studies show the consumption of guava reduces oxidative stress and even helps alter the lipid profile. Thus, it could reduce the risk of disease caused by rampaging free radicals and high blood cholesterol. The vitamins also play an important role in collagen synthesis within the body. Collagen is the main structural protein in the human body required for maintaining the integrity of blood vessels, skin, organs and bones. No wonder guavas are sometimes seen as a longevity fruit. The mineral content in guavas, too has many health benefits. Potassium helps control heart rate and maintain healthy blood pressure. Manganese is used by the body as a co-factor for the antioxidant enzyme, superoxide dismutase. Copper is required for the production of red blood cells. Besides these general health benefits, Guava are also known for certain particular benefits. The vitamin C (ascorbic acid) content in guavas helps reduce iron deficiency. To prove guavas efficacy in improving iron uptake, a study was conducted among school children (aged six to nine) in northern Mexico. In this randomized placebo-controlled study, guava juice was given to 95 anemic children along with their main meal. At the end of the study, the researchers concluded that the 200 mg of ascorbic acid in the guava juice helped improve the hemoglobin or iron concentrations in children consuming diets fortified with iron. If you want to lose weight without compromising your intake of proteins, vitamins and fiber, guava is an ideal choice of fruit. Guava, especially raw guava, also has far less sugar, compared to apples, oranges, grapes and other fruit. Add a medium-sized guava to your lunch and you will not feel hungry again until the evening. One, it helps slow down the absorption of sugar in the blood. Two, the fiber content makes you feel full and helps reduce the absorption of saturated fats. Three, the high potassium content means you can help increase your muscle mass and burn more fat. Though I recommend the guava unpeeled, if you are diabetic avoid the guava skins as they can increase your blood sugar. However the pulp of the guava is good for diabetics. According to studies, the rich fiber content in guavas makes it effective for lowering the chances of developing type 2 diabetes. If there is a family history of diabetes that puts you at risk for developing the disease, try and drink guava tea daily. Dry the guava leaves and crush them. Boil the crushed leaves in hot water to steep out the healthy contents. This incredible tea, rich in antioxidants, can help prevent the onset of diabetes in healthy people. 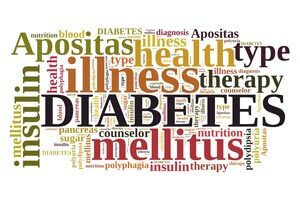 It can also reduce blood sugar level in those who have diabetes. In addition to being a good support for diabetics and pre-diabetics, the guava leaves contain some of the most potent healing qualities. By boiling the leaves and drinking the extract, you can soothe your stomach and intestines and support your gastrointestinal (GI) tract against diarrhea and dysentery. No wonder the guavas are high on the list of foods that don’t cause indigestion. The guava leaf extract is also an ideal skin rejuvenator, and helps fight against fungal infections, flus, and even the common cold. So go ahead and make friends with this fruit. You can just take a bite of it or be a bit more creative. Try guava soups, guava salads. Add it to a stir-fry to get a new taste. Or even to a curry. And if you want to start your day on a healthy note, there are guava-based toothpastes and mouth washes, too. What makes guava special is that protecting the fruit does not require excessive use of chemical pesticides, as in the case of grapes and other so-called “exotic” fruits. It is one of the least chemically treated and sprayed fruits. This is good to know because the flesh just underneath the rind contains exceptionally higher levels of vitamin C than its inner creamy pulp. And I’m sure you wouldn’t want to lose the heal in the peel. Have you been avoiding this fruit because it’s high in fat? 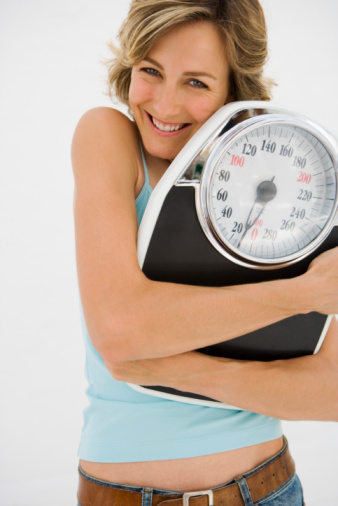 New research shows that you may be missing out on the benefits to your cardiovascular health and cholesterol numbers. Eat more of this today! You might not realize just how nutritious this humble fruit is… It’s chock full of fiber and nutrients, and research shows that eating pears could have a role in preventing cardiovascular disease and diabetes, among other ailments. Read more here.